The black exhaust tips draw inspiration from the Aston Martin DBS Carbon Edition, with a special flat black powder coat finish. The exhaust tips attach to the car using the original OEM hardware, and can withstand temperatures in excess of 300°. 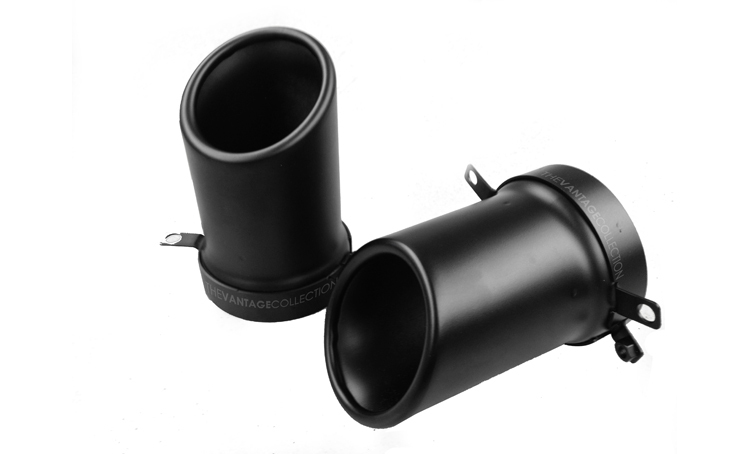 The exhaust tips are also available in glossy black finish. Sold as a pair.